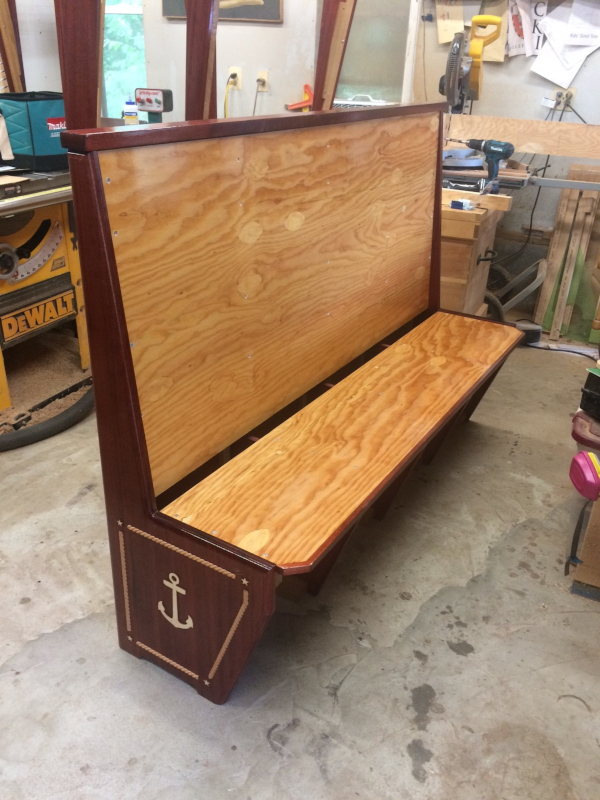 Mr. Szczepanski was subcontracted to make booths for renovated training vessels for the Naval Academy. 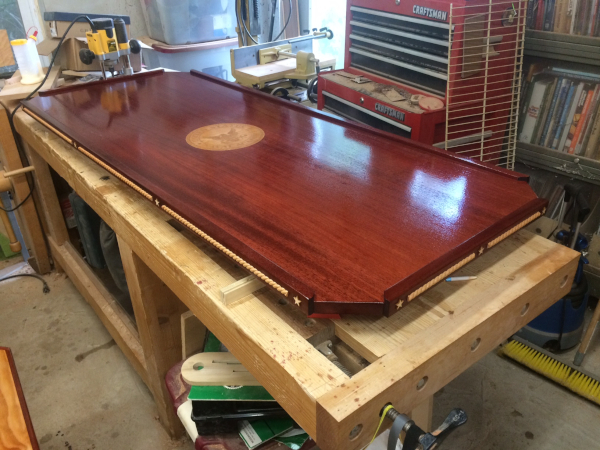 The parts for the booths were made made and finished by Mr. Szczepanski. 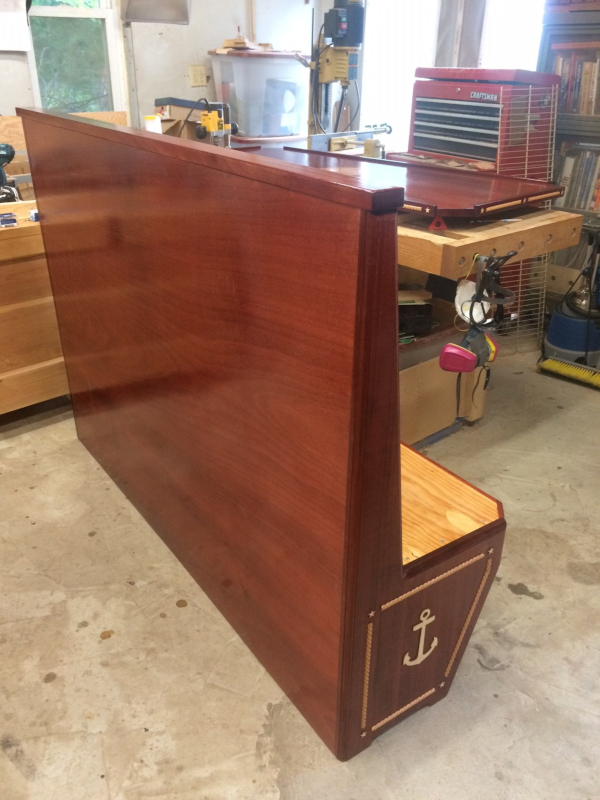 The parts were then assumbled by the contractor on-site, so that the booths would fit through the workings of the vessels. 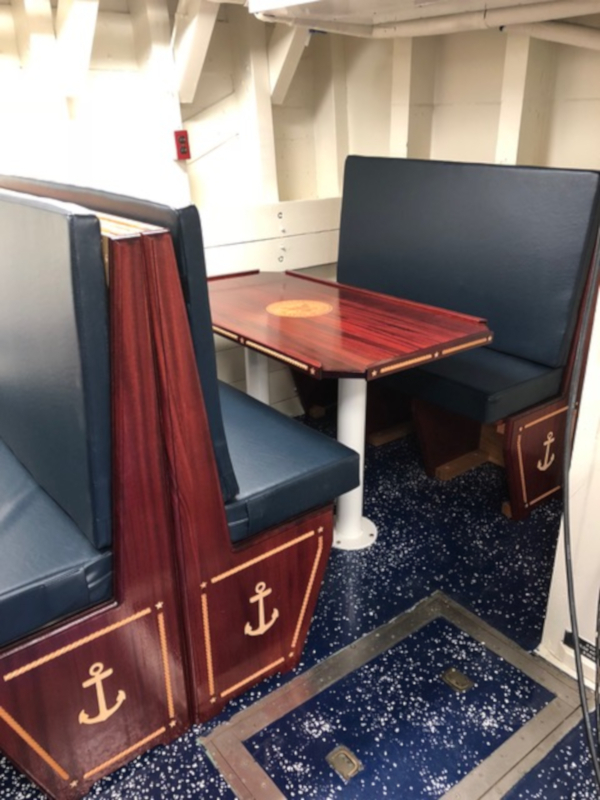 The booths included three tables and six benches or each boat. The design featured an inlaid Naval Academy logo, as well as applied rope moulding, anchors, and stars.